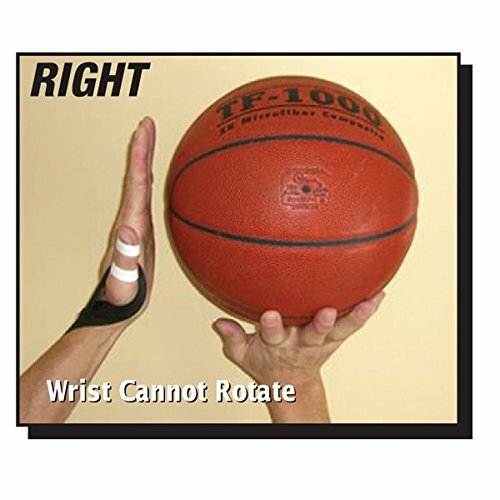 The Jay Wolf's Basketball Shooting Strap stops thumbing and interference of the guide hand through training in two weeks or less. 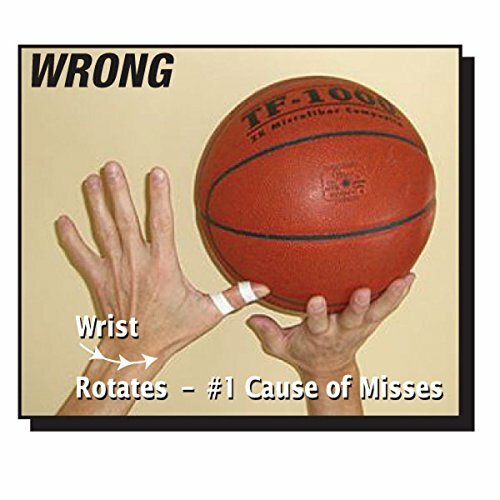 Because the shooting motion happens so quickly, this problem usually goes undetected and can be hard to fix. A common problem when shooting long distant shots, the Shooting Strap will give you a better form, increasing your accuracy. To acquire the benefits from the Shooting Strap, it's recommended to use for 30 minutes a day for 2 weeks or less. This one size fits all strap is constructed of high quality material, ensuring long-lasting use. This product is so effective, even the Pro's are using it! 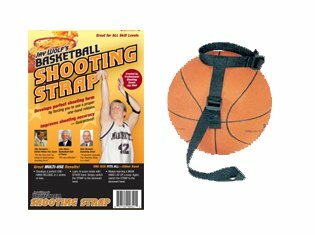 Buy the Jay's Wolf Basketball Shooting Strap Training Aid today! Why does EVERY player demand The SHOOTING STRAP? 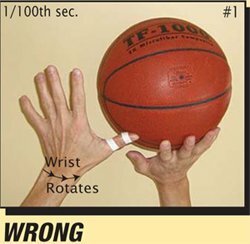 A universal problem for EVERY player is utilizing the non-dominant hand (guide-hand) - typically the thumb - to help offer force for the shot. The problem is most apparent throughout long distance shots. This practice is the # 1 cause of left/right lacks. To make matters worse, it often goes undiscovered due to the fact that the motion occurs so quickly. See Image # 1 below. The SHOOTING STRAP stops ALL thumbing and ALL interference by the "guide-hand" rapidly and easily in 2 weeks or less. It's patented design requires the sportsmen to shoot a one-hand shot. See image # 2 below. To establish appropriate kind, just shoot 30 minutes a day for 2 weeks and your kind improves AUTOMATICALLY - like magic! It is so efficient for improving accuracy and kind, even the Pros are using it. \*\* One size fits all \*\*.